Just wanted to say that no matter what you celebrate (or don’t celebrate), I hope you all are having a great holiday (or just a great Friday). 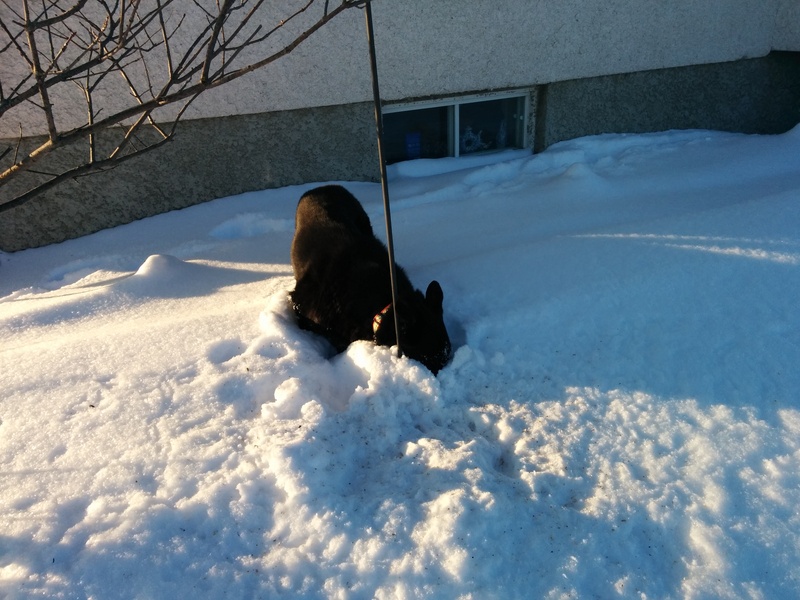 Here’s a picture of my dog Zephyr enjoying a good dig through the snow. A health update. Also, England! It’s been snowing heavily all day here (forecast says up to 20 cm) which had been just lovely for me. I love winter as I’ve said before, and there definitely was not enough snow on the ground for my liking….